If you love home improvement, then you’ve probably heard of Menards Rebates. So, what’s Menard’s Secret 11% Rebate? It’s the Menards Price Adjustment! If you live in the Midwest, you’ve probably heard of Menard’s and you know their rebate schedule. That’s because Menard’s is a home improvement warehouse, similar to Home Depot and Lowe’s Home Improvement. There are tons of stores in the Midwest! Certainly, Menard’s has great sales and rebate deals. As a result, you can often get several things each week – for free after mail-in rebate. Because Menard’s weekly sales run from Sunday through Saturday, you’ll need to grab the form in store during the rebate week or they’re not available. They also have department sales that may span longer time periods. Either way, you can grab the forms here! Certainly we appreciate those fans who take the time to scan in the form and send them to us. Their slogan is, “Save Big Money at Menard’s!” Occasionally, Menard’s has their infamous 11% rebate. During an 11% rebate sale, everything in the store is eligible for an 11% mail-in rebate. That can add up to some great savings! Of course, you can also save 2% by using the Menard’s Big Card – their credit card. So, be sure to pick one up! If you’ve heard of Menards 11% rebate sale, then you may not have heard of Menard’s Secret 11% Rebate!! The week BEFORE the 11% rebate week, they offer an 11% Menard’s Price Adjustment Rebate. Therefore, you can save even more! This secret price adjustment covers purchases made the week before the 11% rebate week. So, if you shopped the week before an 11% Rebate sale, you can still get 11% cash back via mail-in rebate!! To get the 11% Price Adjustment Rebate, simply go to the rebate counter in any Menard’s store and ask them for an 11% Price Adjustment Rebate form. This is different than the 11% rebate form! This form is available ONLY during an 11% rebate sale week. Unlike the 11% Rebate form, the 11% Price Adjustment Rebate form is not available online, and must be picked up in store. And you must get it during the rebate week! You can get current 11% Rebate forms (not price adjustment forms) at the Menard’s Rebate center online. To submit any Menard’s mail-in rebate, send any/all receipts from purchases made during the time frame noted on the form by the due date. In other words, your rebate will come via postal mail in the form of a postcard to the address you provide. As a result, these rebate checks can be spent at Menard’s stores like cash. Don’t have your receipt? Just swipe your Menard’s BIG card at the kiosk near the service counter by front door and print new receipts! So, this is the standard 11% Rebate that everyone knows about. However, unlike the Secret 11% Rebate Price Adjustment, this money-saving offer is highly advertised. If you need a form, then grab one at Menard’s Rebate center online or in store. *Rebate is in form of merchandise credit check. Excludes gift cards, propane purchases, delivery and handling charges, all rental items, minute key purchases, processing fees, packaging charges and extended service agreements. Limited to stock on hand. No rain checks. First come, first served. Future sale price adjustments, exchanges and merchandise returns will void the 11% rebate on the items adjusted, exchanged and/or returned. Rebate is valid on special ordered products but does not extend to the special ordering of any normally stocked items. Not good with any other coupons or offers except Menards coupons, Menards rebates and manufacturers’ coupons. Multiple receipts may accompany one rebate certificate. Menards reserves the right to limit purchases of any and all items to reasonable job lot quantities. Rebate must be postmarked by date shown on form. A copied receipt will not be accepted. Rebates are limited to stock on hand, no rainchecks. One certificate can be used for multiple receipts. Arrangements must be made for immediate pick up or delivery. Please print clearly, we are not responsible for lost or misdirected mail due to lack of print clarity. WARNING: Fraudulent submissions can result in federal prosecution for mail fraud under the 18 USC Sections 1341 & 1342. 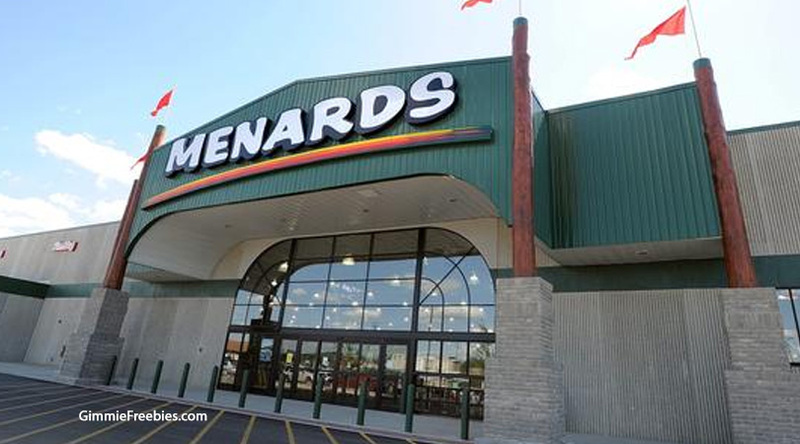 Menards reserves the right to deny rebate claims. Void where prohibited. No need to fold, staple, tape, or paperclip, which only delays processing. Contents do not leave envelope until entered for payment. Finally, if you have a price adjustment form to share, please comment below or on our Facebook page. Because, we can all help each other save big money!